For dance to happen children need to feel comfortable and safe in their environment. Kids see each other each week in class and a stable, warm, consistent dance environment is created, a place to express and enjoy. Would you like to get to know us? Schedule an appointment for a visit, meet with Rosa and become acquainted with our programs. Get in touch with us and schedule an appointment! We are happy to welcome you and your child. Each person has the ability to increase their physical, emotional well-being through our programs. Our goal is to provide quality instruction through caring, professional instructors, in a friendly warm atmosphere. Well-rounded bodies and minds are based on a variety of training techniques. We offer quality courses and workshops in differing holistic fields to complement the individual, find inner balance and a calm point from which to begin our journey. Founder and Artistic Director, Rosa Olympia Estrella, strongly believes in making professional dance training accessible to everyone. We dance to tell a story, and that story is you! We promote and encourage strong self-confidence, self-respect, discipline and a friendly community to train, develop and grow. Enjoying not only the dance but the harmony of the group and the friendships formed. 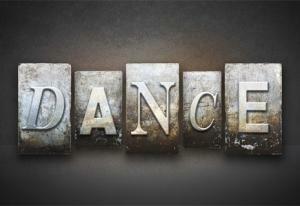 We are a dance family! Building Self-Esteem One Leap at a Time! Kids are the heart of the studio’s activities. Quality and excellence extend to all our children’s dance programs. They deserve only the best, and our kids’ dance courses are structured to form well-rounded dancers, encouraging strong self-worth within each child. 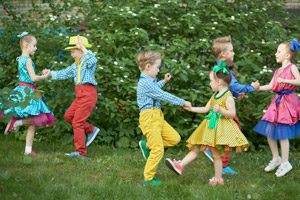 Each dance program is age appropriate and designed to increase their strengths in a joyful and fun atmosphere. We coined the phrase “A Warm and Gentle Approach to Kids Dance”. For dance to happen children need to feel comfortable and safe in their environment. 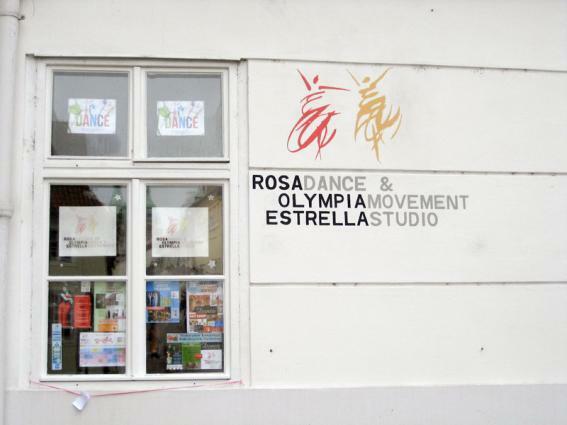 Kids see each other each week and a stable, warm and consistent dance class is created, a place to express and enjoy. We require the commitment of one season. It is a small amount of time but important. The Studio does not offer trial lessons because we don’t find these to be in any way beneficial or indicative of interest or ability on the part of the child. The consistency of a class is what really makes the experience valuable. Many children are naturally hesitant on initial contact, and it takes them time to settle into a new activity and environment. It is also difficult for participating children to have Trial kids coming in and out of lessons. It deters the progress of the participating children and creates an unstable environment, that becomes more animation than dance. If you would like to get to know us, please schedule a visit to the Studio! Rosa will be their to welcome you personally and answer all of your questions. We are looking forward to welcoming you!